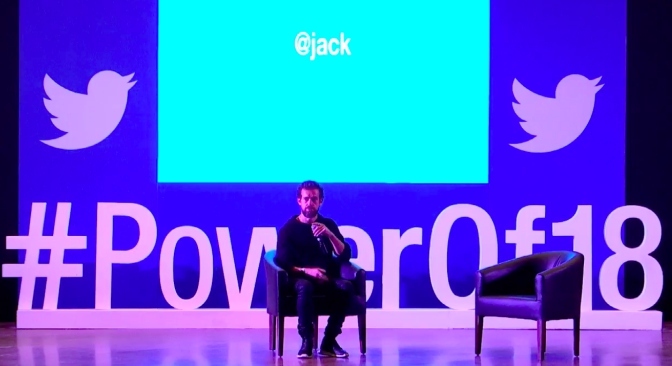 We all know that Twitter is a major driver of conversations on the web, and co-founder and CEO Jack Dorsey is currently on a week-long trip to India, his maiden visit, to further voice his platform’s true purpose and touch base with the youth of the country. After meeting with Congress President Rahul Gandhi this morning, the CEO attended a “Town Hall” session at IIT Delhi today, under the #Powerof18 program to talk to India’s youth, who would be turning 18 soon, and gain the right to vote. I never really wanted to be a CEO, I never wanted to be an entrepreneur, never wanted to lead a company and never even wanted to be an engineer, per se. When I was really young, I had an idea of what I wanted to build (and that’s Twitter) ! He went to answer questions sent in via tweets and talked about his best and worst decisions, promoting healthy conversations on Twitter, the role of AI, eliminating fake news, and editing tweets. The first question was an oddball, asking Dorsey of his best and worst business decision, and his response was equally convoluted. He answered that the worst decision was to wait to make a decision as it stalls progress and hinders innovation. He has also pointed out that making slow decisions and negative work environment is also the worst, whereas fulfilling the needs of your users before your interests is the best. Dorsey then went on to address a pressing matter, which is making headlines, and that’s the debate around the removal of the ‘like’ button and whether the ‘number of followers’ defines your status on Twitter. Going back 12 years, when Twitter was being developed, Dorsey recollects that follower count and the whole concept around it seemed like a great idea back then and they made it bigger, bold, and placed it front and center. However, he never expected such emphasis to be placed on the number of followers – along with likes and impressions. Such counters incentivized the social experience, says Dorsey, and you enter the race to gain followers. However, the company is now completely shifting its focus towards healthy conversation and wants us to focus on one significant figure – the number of vitalizing conversations (with replies and learning) you have on the platform. 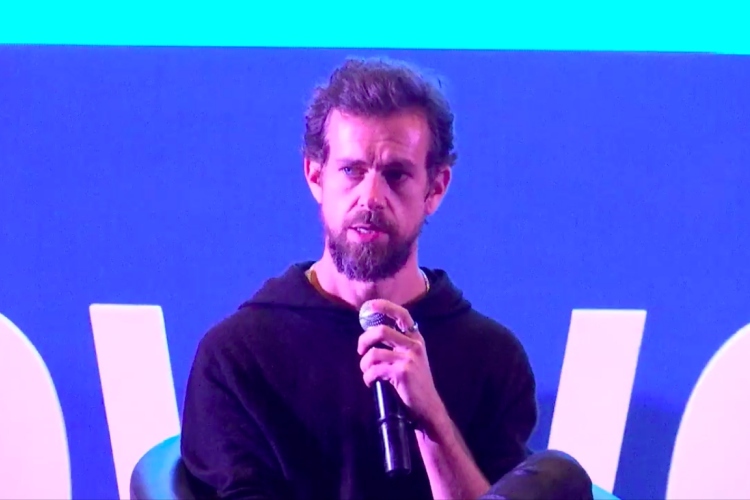 With the 2019 Lok Sabha elections approaching soon, Dorsey was also asked about fake news and the growing bot problem on the platform. He addressed the same stressing that Twitter has already got some checks in place, but it’s now working harder (with help from AI) to pick out any misleading info, propaganda and weed them out. The real problem is not misinformation, per se, as jokes can also be categorized as misinformation. But misinformation that is spread with the intent to mislead people is a real problem. As for a solution, the Twitter CEO then went on to compare resolving the problem of misleading info to that of addressing a security issue or building a lock. Dorsey told the attendees that attackers who spread misinformation won’t back down and we have to be at least ten steps ahead of them as there’s no perfect solution. AI could come in quite handy, though! Finally, he addressed the need for Twitter to become a singular community that can come together to find a solution to global issues, rather than a place where people react to what’s happening in a passive manner. #PowerOf18 When are you going to add edit function to Twitter?? And finally, Dorsey certainly had to tackle the most frequently asked question – when do we get to edit tweets and not embarrass ourselves? Well, the answer is that Twitter has been working on different ways to let you edit tweets, but it does not want to rush the rollout. We’ve been considering edit for quite some time but we have to do it the right way. As you can obviously see, the #Powerof18 Town Hall gave us some extremely essential insights into how Dorsey thinks about business, building communities, and pushing the masses to engage in healthy conversations. He also dreams of a future where the youth can stand united against global atrocities, placing culture, cast, and nationality aside.